Hi, thanks for visiting my website. I have been a forex trader for close to 4 years and it has been a humbling yet a great learning experience. Just like most of you, I too started off with the usual path of hunting for the Holy Grail, filling up my charts with Indicators in hopes to find a winning strategy. After a great deal of pain on losing my trading equity, which were quite a few, I continued to keep on at it. Someone once said, markets are unforgiving. But to fold is to concede defeat. I find that to be very apt in my case. During the process, I have learned a great deal about the markets. Not just limited to currency markets, but to stocks and bonds as well. The good part about losing my equity was that it kept me going to read up more. Not about indicators and the likes, but more abot price action, what drive prices, the inter market relationships, how currencies tend to behave and so on. It was when I came across Renko charts (which to be honest, I initially didn’t think highly about) that things started to fall in place. 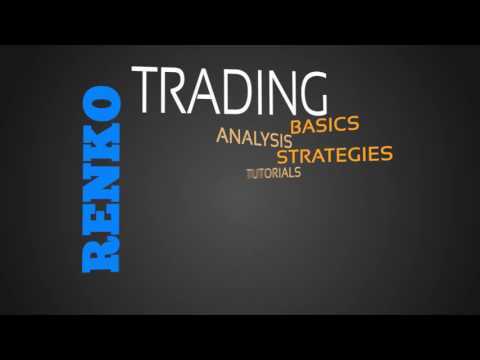 Most of my trading and analysis as can be seen on this renko trading blog deals with price action trading strategies. Of course, I continue to try and experiment with indicators, but that is only to quench my curiosity about finding a profitable mechanical system and well, to keep myself occupied. Trading with renko charts isn’t for the usual masses. It takes patience, discipline and most of all money management. The purpose of this website is to educate the reader about renko charts and the advantages that come with it. While this is no alternative to other conventional approaches to trading, I find trading with Renko charts to offer a more objective and an alternative view of the price in the markets. In most cases, you will notice that the forex renko analysis published on my website is way ahead of the analysis from traditional methods. This is something unique about renko. Of course, there is always the fact about how long it will take for a trade to be completed, but that really shouldn’t be a bother. Renko charts also help from over trading which is yet again another benefit of this method. Feel free to read up on the content I published on this blog. The sole purpose is to educate the reader about renko charts trading and to set aside the junk from the real stuff that matters. In case of any questions, feel free to comment and i’ll be sure to answer them.